It's old news by this time that paying close attention to the condition and pressure of your tires can save you gas, but did you know your choice of tire can affect your performance tuning as well? It makes sense if you think about it. The rubber is what actually meets the road. Most new cars come with tires that are specifically chosen for the frame and wheel size of the car, and for the most part, those are fine, but if you really want to improve your speed and control while cornering, for example, changing the tires on your car might be just the thing you need. When considering your tires (and wheels) there are three things you need to look at: tread, balance, and pressure. Generally speaking, performance tires like the ones found on the Mitsubishi Eclipse are best in dry road conditions, so if you live (and drive) in a wet area, like the Pacific Northwest, you should definitely consider getting a set of wet weather tires. If your budget allows, you should have a set of dry- and a set of wet-weather tires, but if you must choose, consider the usual weather in your region, and decide based on that. Southern Californians and Midwesterners will want dry-weather tires as their default. 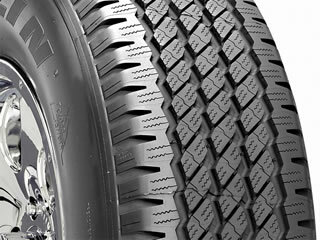 "V" cut treads are good all-around tires, and will give you a decent ride in both wet and dry weather. Tires with asymmetric tread patterns are designed that way so that each corner of the car has it's own pattern for maximum control. They make handling smoother, but you have to replace them all at the same time, and you can't rotate them front to back or axle to axle. Soft racing-spec tires provide excellent grip, but wear very quickly. In dry conditions, the best grip comes from a slick-surfaced tire, one with no tread at all, but these are illegal for street use in many places. Tires with large rubber contact areas and diamond-style grooves are the safest legal alternative to not having treads at all. While most wheel rims can support tires that are a little bit wider than standard, for better gripping (because of the increased contact with the road), the tires must be balanced at least annually because tread does wear down. Unbalanced tires may be a little annoying during city driving, but in performance driving the result may be a wobbling wheel that can affect control or damage components located near the wheel. Never have different tires (size, age, tread, brand) on the same axle. Put new tires on the rear axle. Try to keep all tires the same with regard to tread patterns. Also remember that tires that may have earned high ratings during tests on closed tracks may not fare so well on city streets. Talk to your mechanic or dealer, and do research to find what tires are best for your car, and the results you want to have. Tire pressure is as crucial as the type of tread you choose. Follow the manufacturer's advice regarding recommended pressure for the speed at which you generally drive, and you will find that your car handles better, and more predictably. Your ride will be smoother and your tires will last longer. Check the pressure at least weekly. Of course, tires are prone to damage, and you should do a visual inspection of your tires (and the rest of the car) before you engage in performance driving. The two most common tire "injuries" are punctures and damage to the side-walls. Punctures can generally be repaired if the damage if is in the center third of the tread area. If you have a tire that is regularly in need of more air, you probably have a puncture somewhere. Side-wall damage can cause a blow-out if not caught soon enough. You can't fix this, but you can help prevent it, by not letting your tires scrape the curb when parking or pulling away from a parking spot, and by doing regular inspections. Of course, you should never drive on a flat tire, as you could severely damage the wheel rim. There are as many tuning modifications as there are performance car aficionados, but in the age of high tech, the tires are often overlooked for the modern day sports cars. For the best results with your car, start with the bottom - where the rubber meets the road. Your opinion on this article?